They feel everything, sometimes to an extreme. 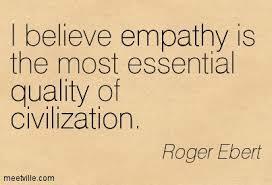 Empaths are naturally giving, spiritually attuned, and good listeners. If you want heart, empaths have got it. Through thick and thin, they’re there for you, but this can all be very draining for them! Visualize a shield of energy around your physical body. See it as being radiant and complete. You may see it as a particular color. Some people like to see it as white or gold. Decide what colour would work well for you, and see it that way. Imagine the shield body as flowing and moving, not static. We are developing a shield here, not armour. It is good for it to be flexible, so you can let in what serves you, and keep out what doesn’t. Snap your fingers to hold it in place. Do this exercise regularly? Once you have the shield body in place, imagine that there is a spark in the center of your being that is your pure essence. Focus your attention on the spark, bring all your senses to bear. Also be aware of your sensations, emotions and thoughts. First try this when you are alone, and then, after a time, practice it around others. See if you can switch your awareness from your environment to yourself, and back again. Notice the difference between the two. Get in the habit of taking calming mini-breaks throughout the day. Breathe in some fresh air. Stretch. Take a short walk. These interludes will reduce the excessive stimulation of going non-stop. You need the grounding, centring and time alone, if not more than anyone. Practice Guerrilla Meditation. To counter emotional overload, act fast and meditate for a few minutes. This centres your energy so you don’t take it on from others. Guerrilla Meditation is a juxtaposition of words that appear to be counter intuitive, but are hidden in the open and call for a form of resistance that switches from resisting change to resisting fear of change in the joy of doing nothing. Guerrilla Meditations allow for the tension of opposites. As we soften in our heart and meditate on one of the 12 Guerrilla Meditations, ‘ahas’ arise. In a dance of seeming opposition, paradoxical understanding is readying itself to emerge. What appears to be polarization becomes a clear picture of a central theme that guides us to an awakened awareness of something considered an obstacle, but with clarity we see an opportunity in its place? Aum returns us to ‘I am’, a creative sound that allows stillness to speak. In the silence of our soul, we hear an inner prompting guide us into wisdom, knowledge and understanding. I am willing to learn and unlearn. I am a wellspring of wealth. I am a living scroll. I am alone …. All One. We use 12 Guerrilla Meditations one-at-a-time. Each needs its own release, a willingness to be still, and an awareness of what we received in the silence of our soul. A sense of humor is beneficial when we enter into one of the 12 Guerrilla Meditations and pass through the ‘ahas’ and see what needs to be seen in the light of truth. Happy Meditating! I don’t already know everything. Humility is chosen in place of fearing that I will be humiliated. If I do what I did yesterday that worked and repeat it in an unconscious action today, it lacks vigor. Vitality flows from within to make me new in a transformative ‘now’ reality. I awaken in the morning with, “I am thankful to be alive”. It springs forth from wellbeing and sustains me all day. No more run-on thoughts attached to feelings that are passé. I let go and allow them to pass away. Be . . . in love. An invisible heartbeat forms and reforms my human heart and transforms me now. My mind attunes to the love song my heart sings to me. An integrated practice is mine, spiritually, personally and professionally. I clear my path daily, momentarily. No raining on anyone’s parade aloud. No dousing of an intuitive spark before it ignites me. A pollution-free-zone. I contribute goodwill from my thoughts and feelings. Ill will is wasteful. I am a pollution-free-zone. Wealth isn’t confined to one or another segment of my life. It permeates and penetrates all aspects. Guidance is swift. In and from consciousness, I act, and see immediate manifestations. I am a Human Being, unidentified with a human doing what I need to do to be noticed. I am alone . . . All One. I am awake, consciously aware and fully engaged in my body electric. There is no one who can lose me or save me. My only real responsibility is to be . . . in love. Blessings make the care of a soul effortless. Whether you are having difficulty with your empathic abilities or not, it is a good idea to smudge yourself (and your home) regularly to release other people’s energy and influence from your energy body. Smudging is a way to clear your energy by waving incense around your body. Combine fresh and dried herbs if necessary. With respect cut the plant with a sharp knife (you will need pieces around eight to twelve inches long). Only take what you need. Gather your materials together. Light the candle and quietly centre yourself. Take a sturdy stick as a base. Arrange the other stems around it. If you are using a combination of fresh and dried herbs, keep the dried, more fragile herbs on the inside. Take a piece of cotton or hide and tie it around the stick, starting at the bottom. Tie your smudge stick quite firmly – the cotton should reach about half way up the length of the stick. Now hang your smudge stick up by its bottom end (the tied end) somewhere warm and dry until the plants are almost dry – but not totally moisture-free. It is the psychic equivalent of washing your hands before eating – and used as an essential preliminary to almost all Native American ceremonies. Light the end of your smudge stick and let it burn for a few minutes until the tip starts to smoulder. You may need to fan the flames for a while to get the smudge really smoking. Then extinguish the flame so the smudge stick smokes. Call on the spirits of the smudge to cleanse and protect you: Drive away all negativity from my heart; take away everything unworthy and impure. First waft the smoke towards your heart. Hold the smudge stick away from you and use the feather to waft the smoke towards you. Then take the smudge smoke over your head, down your arms and down the front of your body. Imagine the smoke lifting away all the negative thoughts, emotions and energies that have attached themselves to you. Breathe in the smudge, visualizing the smoke purifying your body from the inside. (Note: be careful if you suffer from asthma or respiratory difficulties. Experiment cautiously). Now bring the smoke down the back of your body towards the ground. Visualise the last vestiges of negativity being taken back into the earth, away into the air. Repeat your smudging once again, this time calling on the spirit to bring you the positive energy you need to do this work. To help you to come into balance, purify your soul. As you smudge, imagine yourself being surrounded by gentle, loving energy. Breathe in positivity, courage and love. Sagebrush: confusingly, the “sage” used in most smudge sticks, is not culinary sage but sagebrush; it transforms energy and brings change. Sage: however, you can also use sage (Salvia officinalis) which brings wisdom and is calming and healing. Sweetgrass: attracts positive energy. You can buy sweetgrass in braids – simply snip off a little for your smudge stick. Cedar: deeply purifying, especially for clearing negative emotions and for healing. The root chakra helps us to deal with being fully in the world. When the root chakra is open, we are fully grounded and present with whatever is coming our way. When it is not open, we can be fearful, and have difficulty staying present with what is going on. Opening and healing the root chakra helps us to release the fears that keep us from our highest manifestation within form. Take a shower. While in the shower dance and imagine a bright red light at the base of your tailbone extending down your legs and feet, grounding you to the earth. Take a mindful walk. Concentrate on your foot leaving the ground and connecting to the earth again with each step. You’ll give your mind a break and cleanse your root chakra at the same time. Get on your yoga mat.Many yoga postures are designed to cleanse this chakra. My favourite is tree pose. You can use your ‘seeing red’ visualization as you firmly plant your entire left foot onto your mat and bring your right foot up into tree pose. Keep your hip points squarely ahead and your toes tucked in as you place your foot anywhere on your leg besides your knee. Be creative and make your tree pose your own. Place your right leg into half lotus or engage your core and reach your arms overhead, keeping the base of your neck soft and your elbows straight as you rotate the pinky side of your hands in to engage your triceps. Most importantly, feel supported and connected to the earth as you hold your tree pose for 5 to 8 breaths before switching sides. Pamper your physical body are great ways to also care for your root chakra energy. If someone asks too much of you, politely tell them “no.” It’s not necessary to explain why. If crowds are overwhelming, eat a high-protein meal beforehand (this grounds you) and sit in the far corner of, say, a theatre or party, not dead centre. And, if you don’t feel like going out, don’t say yes to please others. Don’t feel bad for leaving early, either. Each energy practitioners has his or her own set of unique skills and talents so you have to look around for what it is that your particular energy needs. And recognize, that you may ‘graduate’ to new and different practitioners as you develop and grow.